"That is a horse s--t idea. Now, if you took the engine or sterndrive and you stood it on end, and put it on top of the gear box, you'd have an outboard motor. Then you got the right touch!" Carl Kiekhaefer on the Stern drive 1951. Aside from sailing and paddle boating, until the 1920's there were only 2 powered options to propel a boat through the water; the Outboard Motor and the Inboard Motor. Both of these power boat options however had their disadvantages. All Outboards including Mercury Outboards lacked in both horsepower and especially torque. In 1957 Kiekhaefer produced the most powerful Outboard motor in the world at just 60 Horsepower. However the Inboard motors having been converted from an automotive engine were both big & heavy. The other problem with Inboard Motors was that the engine required being angled such that a more optimal Propeller Shaft angle was achievable. This therefore meant the propeller angle was not just pushing the boat forward but also pushing upwards on the boat and not in the optimal direction the boat was traveling. In 1930 Johnson Motor Company released what was probably the first Sterndrive. However this product was plagued by lack of customer interest as well as lack of Boat Builder interest. Therefore the product basically dissolved in the wake of problems being pointed at the boat builder from the Sterndrive manufacturer and vice versa. At this point and up through March 23, 1961 when the Mercruiser product brand was initially launched, there lies a tremendous amount of controversy regarding the birth of the Mercruiser Sterndrive product line. Two engineers by the names of Jim Wynne and Charlie Strange are credited with the design concept of the Mercruiser Sterndrive as its known today. The biggest design enhancement to the earlier predecessors was the introduction of two 90 degree gears sets by use of universal joints. The controversy surrounding the history behind Mercury Engines and the Mercruiser product line comes from the fact that while Jim Wynne was credited with the "invention" of the Sterndrive after having left employment by Kiekhaefer in 1958, the truth was that the original design concept was that of Charlie Strang while still employed by and a very close friend of Kiekhefer yet working on the design and initial agreement with Volvo Penta. The irony in all of this is that Volvo Penta introduced the Sterndrive before Mercruiser however the design was developed by Mercruiser in a round about way. Today, 50+ years later after the introduction of the Mercruiser Sterndrive, PPT allows you to use your Mercruiser Serial Number to find the correct Mercruiser Engine Parts for your Inboard or Sterndrive application. Having spent more than 25 years as mechanical engineers for Mercruiser while designing a variety of different Marine Exhaust & Marine Cooling Systems, this allowed us to develop a broad background in the Marine Industry. In 2002 we then decided to apply this engineering background to Performance Product Technologies (PPT) to serve the online customers looking to Buy Mercruiser Parts online. And to this day we still take pride in the fact that we focus on Marine Product solutions not just sales. The ability to shop online for either Marine Engine Parts or Boat Motors has completely changed the world of boating. Just 15 years ago almost all boat owners were taking their boats into the local MerCruiser Dealership when replacing a MerCruiser Alpha 1 water pump impeller or to buy engine parts for their MerCruiser 3.0 motor. However, for the past 15 years PPT has been offering not only products online, but comprehensive boating solutions to boat owners across the world. Experience the PPT difference by not only receiving the best prices on MerCruiser Parts but also experience a superior level of technical product support and advice while helping customers just like you not only compare but also to buy large scale items like complete MerCruiser Engines or small scale items such as specialty MerCruiser Fasteners and Fittings. You will not find an easier way to perform your own boat service or repairs than using our MerCruiser Online Diagrams and Parts Lookup tool to quickly locate and purchase these needed Marine Products. But here's the best part of the online shopping experience for your boating items; all of this can now be done from the convenience of your home. What type of discounts, value based boating products or technical support services should online shoppers expect with PPT? 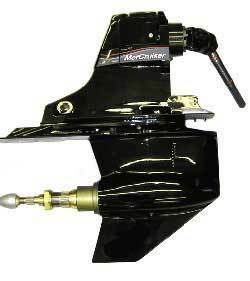 We offer both New and Used MerCruiser Parts along with huge discounts with both Free and Fast Shipping services. The list below outlines just a few of the numerous additional MerCruiser Products and Services you can expect when shopping at PPT. We are the only online marine dealer that offers the online Products Catalog with Mercury/Mercruiser Serial Number searching to assist you in determining the CORRECT products you need. If you still can't find the Mercury Outboard Parts or Mercruiser Parts you're looking for feel free to call one of our trained service technicians for assistance. Bobtail Marine Engines are also sometimes referred to as Drop-In or Turn Key Marine Engine. These engines will generally come complete with the engine mounts, Marine Exhaust System, Marine Cooling System as well as the marine fuel and electrical systems. No one beats our everyday prices on original OEM MerCruiser exhaust manifolds and risers, let alone the specials we offer. However, if your in the market for a cost savings as most people are, PPT offers the industries only Ceramic/EDP Coated Direct Replacement line of Marine Exhaust Manifolds and Risers. The products come with gaskets and mounting hardware. Compare these prices! We handle exhaust hardware for all models. 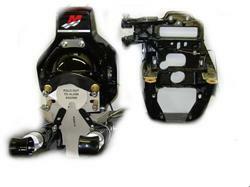 Looking for MerCruiser Alpha or Bravo Sterndrive Parts such as lower units or upper units? 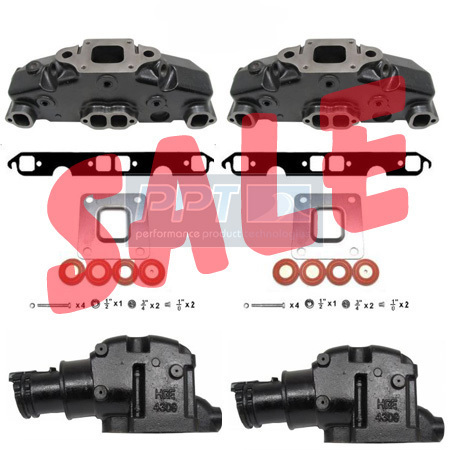 Select this link ......Sterndrive Parts (Uppers & Lowers). You can find related Sterndrive Technical Product Information such as gear ratio identification, Sterndrive Model Identification including Alpha 1 versus Alpha 2, etc in our Technical Library.....Technical Sterndrive Articles Boater's will find all their Sterndrive Product Information such as Hp and Torque requirements, Gear Ratios Options, etc in the PPT Technical Sterndrive Specifications Library. Need Technical Assistance? Don't miss our Technical Library and Specifications Library located in the Technical Section of the website. PPT prides ourselves on providing our customers with more than products. 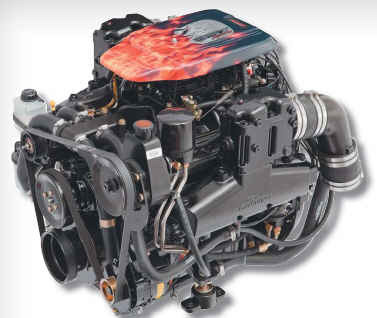 Based on our more than 25 Years as engineers for Mercury Marine within the Mercruiser Products Division we have years of direct hands on experience regarding both Mercruiser Engines and Mercruiser Sterndrives.